Welcome to our Cancer Prevention and Control (CPC) quarterly newsletter. The goal in producing this newsletter is to keep our members informed and involved. We are highlighting opportunities for collaborations, new funding opportunities, new grants and promotions, new personnel, and upcoming seminars and events. We always welcome your suggestions and contributions for future issues. The Rutgers Cancer Institute Research Development Pilot Project Award for Cancer Prevention and Control (CPC) - Spring 2017 Cycle has been extended to March 1, 2017. CPC members are encouraged to apply. Members of the Clinical Investigations & Precision Therapeutics Program (CIPT) are encouraged to apply with a member of the CPC Program. Please contact Paul Novembre for a copy of the RFA and application and let him know immediately if you plan to submit an application. 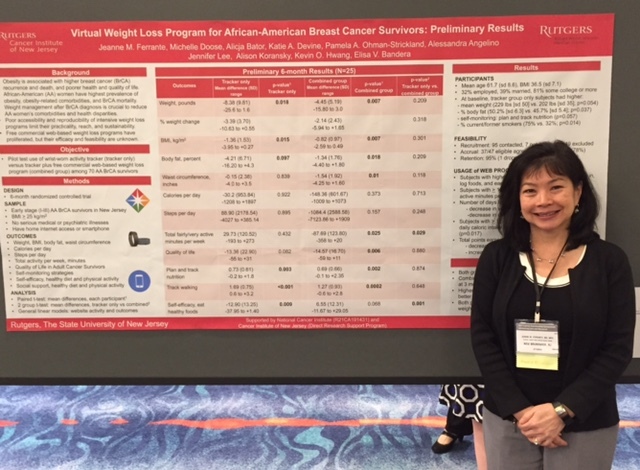 Jeanne Ferrante, MD, MPH, Professor, Family Medicine and Community Health presented "Virtual weight loss program for African-American breast cancer survivors: Preliminary results." Co-authors: Doose M, Bator A, Devine K, Ohman-Strickland P, Angelino A, Lee J, Koransky A, Hwang K, Bandera E.
Denalee O’Malley, PhD (c), LSW, Supervising Program Development Specialist presented "Primary Care Physicians Experiences of Caring for Cancer Survivors: Toward Developing a Primary Care-Responsive Cancer Survivorship Research Agenda." Co-authors: Hudson, S. V., Nekhlyudov, L., Howard, J., Rubinstein, E., Lee, H. S., . 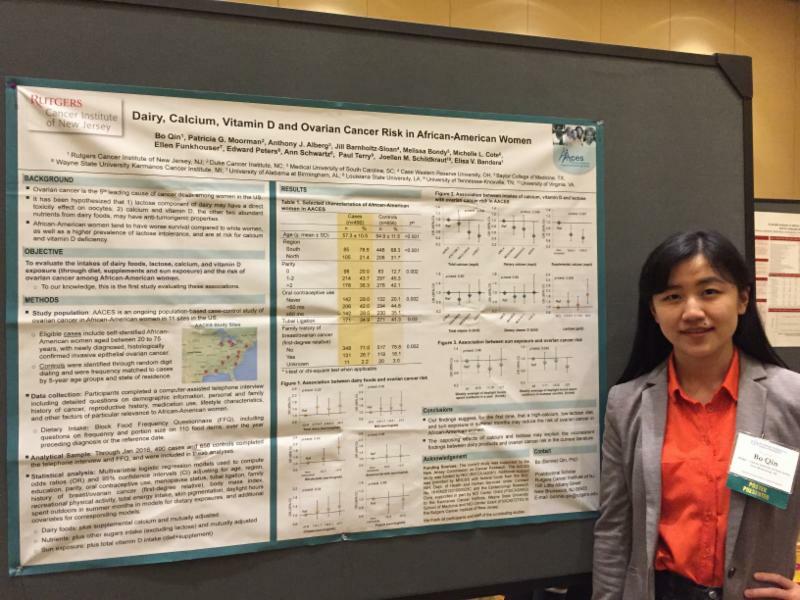 . . Crabtree, B. F.
Bonnie Qin, PhD, Postdoctoral Associate, presented, "Calcium, Vitamin D and Lactose Intakes and Ovarian Cancer Risk in African-American Women" at the 2016 American Institute for Cancer Research (AICR) Conference. Wednesday, January 18, 2017, Dawn Hershman, MD, MS, FASCO, Professor of Medicine and Epidemiology Leader, Breast Cancer Program, Herbert Irving Comprehensive Cancer Center, Columbia University, New York, New NY presented "Understanding and Improving the Delivery of Breast Cancer Care." 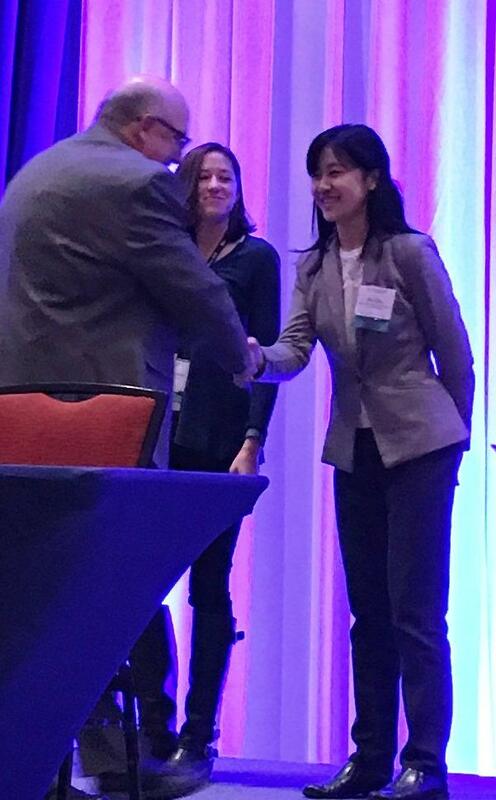 Bonnie Qin, PhD, Postdoctoral Associate, received the John A. Milner Poster Award at the American Institute for Cancer Research (AICR) Conference in North Bethesda, MD, November 14, 2016. Please help us congratulate Jerod Stapleton, PhD, Assistant Professor of Medicine for receiving a outstanding score in a five-year, National Cancer Institute R01 grant proposal entitled, " Randomized Trial of a Social Media-Delivered Intervention Targeting Indoor Tanning Users." Status: First submission scored (7th percentile), awaiting council review (meeting 5/17). Please join us at the next CPC meeting on Tuesday, February 21, 2017, 3:30 pm. 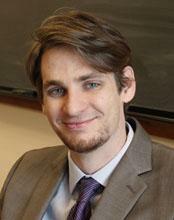 Presenter will be Jerod Stapleton, PhD, Assistant Professor of Medicine. Refreshments provided. Please join us at the next Journal Club meeting on Tuesday, March 14, 2017 at 4 pm, Rutgers Cancer Institute, conference room 5546. 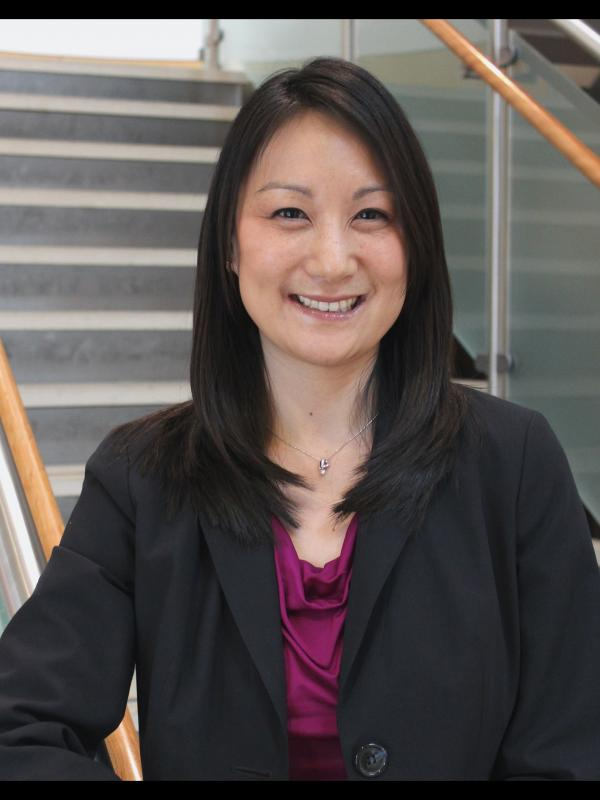 Jennifer Tsui, PhD, MPH, Assistant Professor of Medicine, will be leading the meeting. The 41st ASPO Annual Conference will be held in Seattle, WA, March 11-14, 2017. Click here to learn more. The AACR Annual Meeting will be held at the Walter E. Washington Convention Center, Washington, DC, April 1 - 5, 2017. Click here to learn more. Please mark your calendar to join us at the next Rutgers Cancer Institute of New Jersey Open House on March 14th from 3:00 - 4:00 pm at CINJ (195 Little Albany) in the atrium by the auditorium. Hosted by Population Science you will have an opportunity to meet the faculty and staff and learn about ongoing and upcoming research projects. Also, meet and mingle with your colleagues and have a light snack. Rutgers Cancer Institute of New Jersey and the New Jersey Commission on Cancer Research (NJCCR) are hosting the 2017 Annual Retreat on Cancer Research in New Jersey on May 25, 2017. 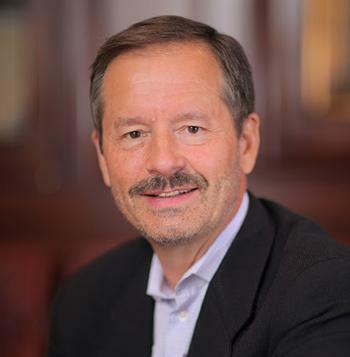 Our keynote speaker will be Lewis C. Cantley, PhD, Meyer, Director, Sandra and Edward Meyer Cancer Center, Professor of Cancer Biology in Medicine, Weill Cornell Medicine. Click here to register online , if you haven't already done so. Please Not e : Online abstract submission closes March 21 and registration closes May 12. *This is the CCSG "Year of Record." Send your abstracts, show your excellent work! For a full list of recent manuscripts, abstracts, and presentations please visit the CPC webpage. 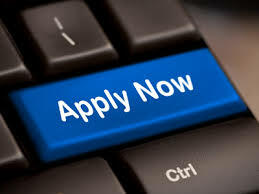 Program Coordinator in the Population Science at Rutgers Cancer Institute of New Jersey. 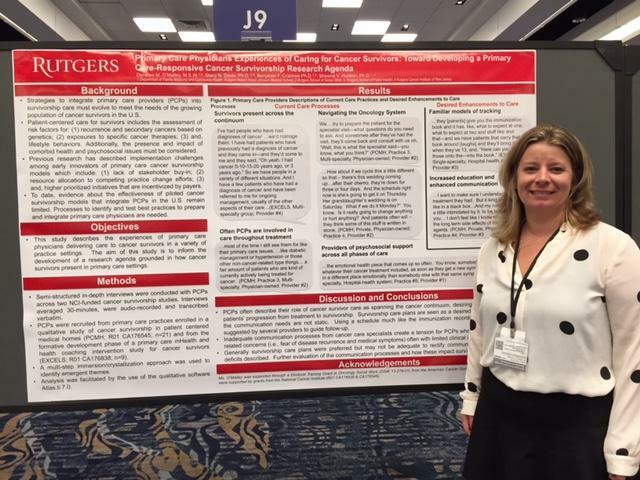 The Department of Communication, Rutgers University was given an award for "effective" national independent rating, which is multi-substance (alcohol, tobacco, and other drugs). It is entitled, "Youth Message Development", the precursor to their online REAL media. The curriculum will be up shortly on the SAMHSA's NREPP as "effective" ATOD program. In the meantime, the curriculum is described at their partners website (REAL Prevention). Click here to learn more. The New Jersey Department of Health recently released the Childhood Cancer in New Jersey, 1979-2013 Report. This report includes cancer incidence and mortality statistics from 1990-2013 as well as long term trends from 1979-2013 for New Jersey children ages 0-19. Click here to view the report. February is Cancer Prevention Awareness Month. Rutgers Cancer Institute of New Jersey is partnering with the American Institute for Cancer Research to raise awareness among Americans that nearly half of US cancers could be prevented by changing our everyday habits, and provide people with support to start making these changes. Click here to learn more.